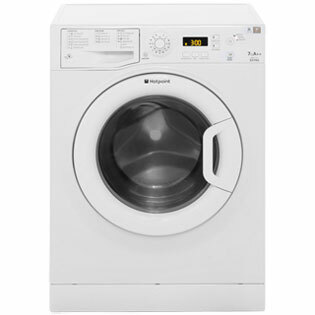 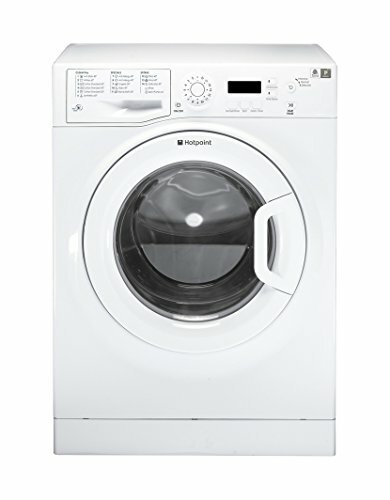 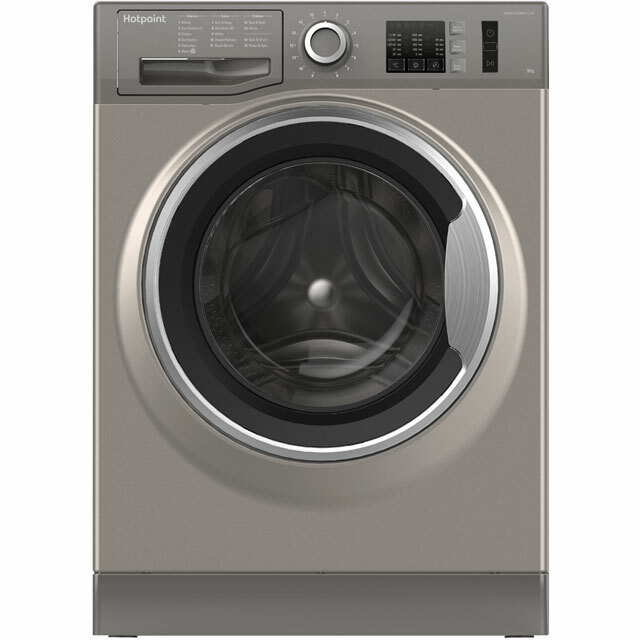 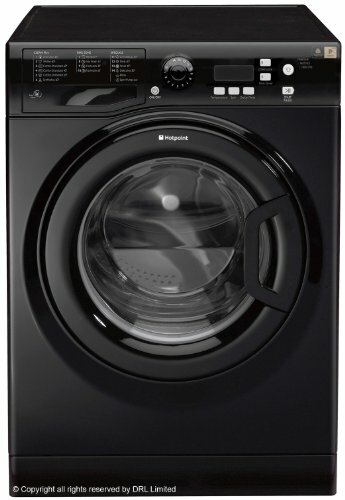 Hotpoint is one of the best known brands of large domestic appliances in the UK including washing machines. 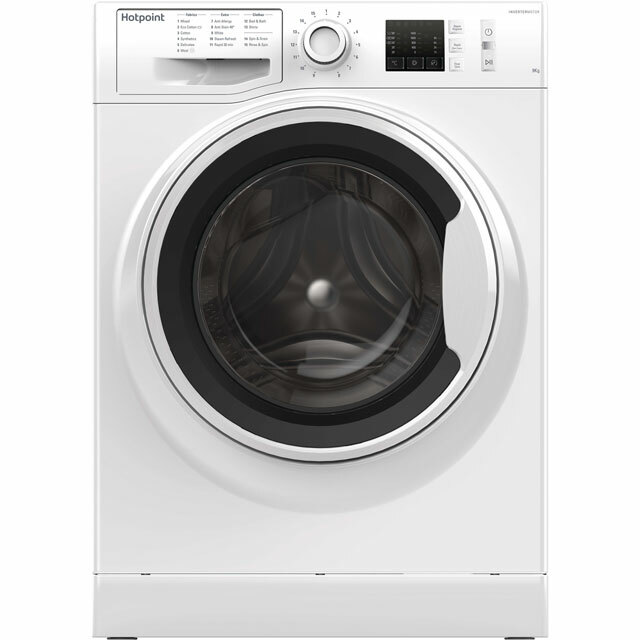 A trusted name with a long history of reliable products that deliver outstanding results. 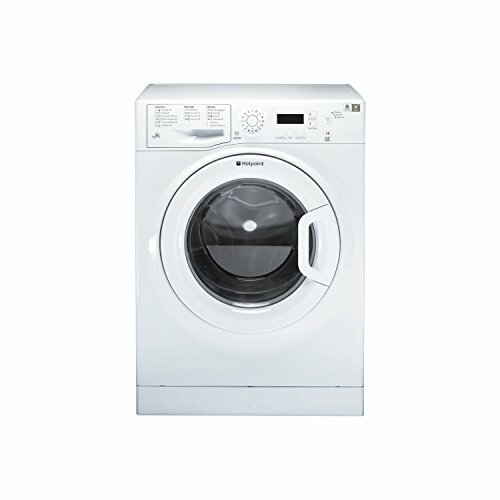 Cutting edge technology has made wash day less of a chore with excellent cleaning every time. 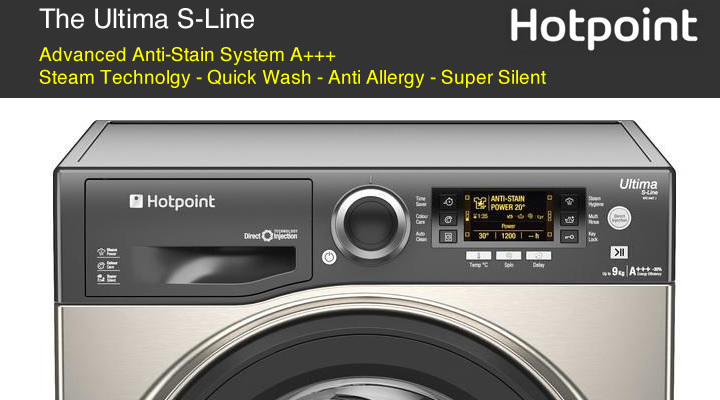 Today’s Hotpoint washing machines come fully loaded with specially designed features to improve performance. 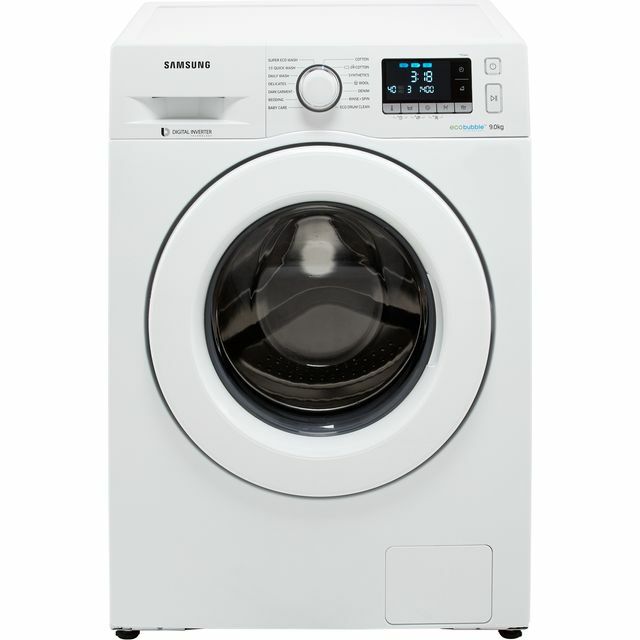 Prices will vary depending on how large the drum is. 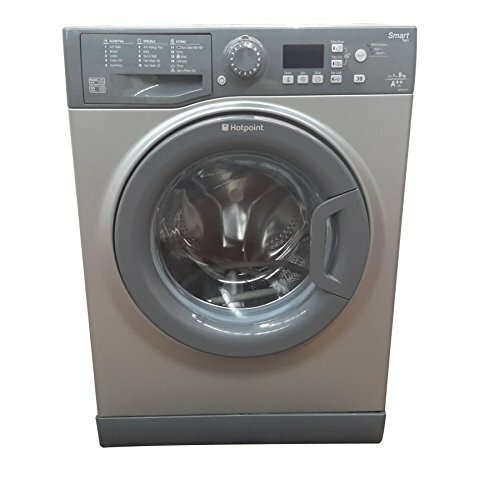 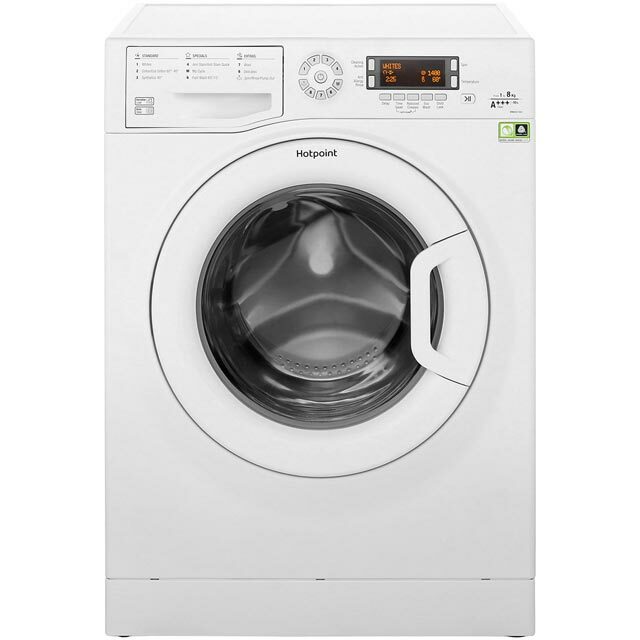 You will find compact 6kg models, 7kg, 8kg and large load washers at 9kg. 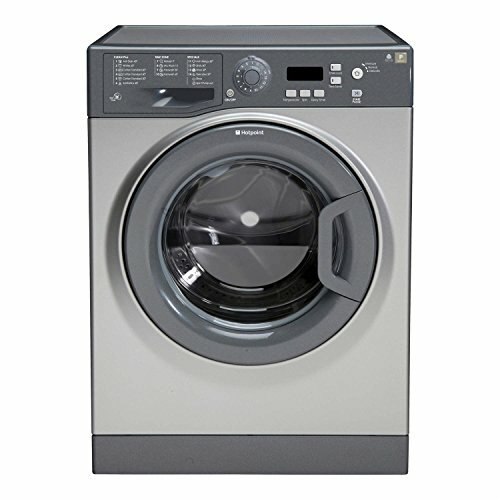 with spin speeds 1200rpm, 1400 rpm and 1600rpm. 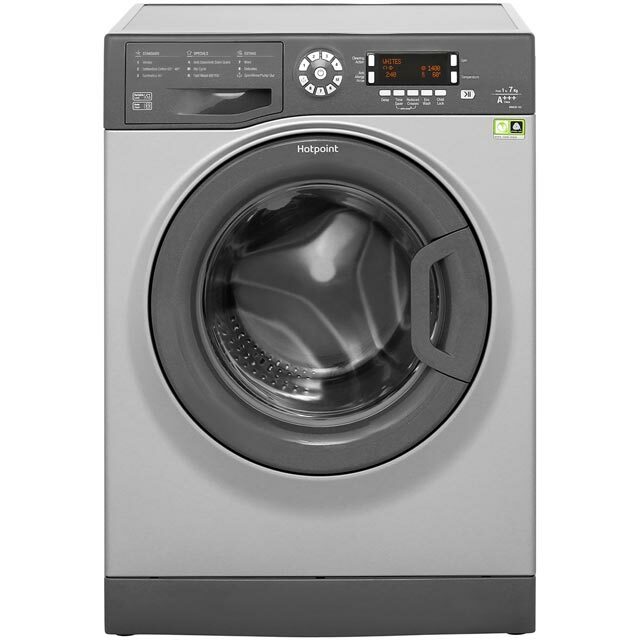 Large washing machines from Hotpoint offer reliable and thorough cleaning even at lower temperatures. 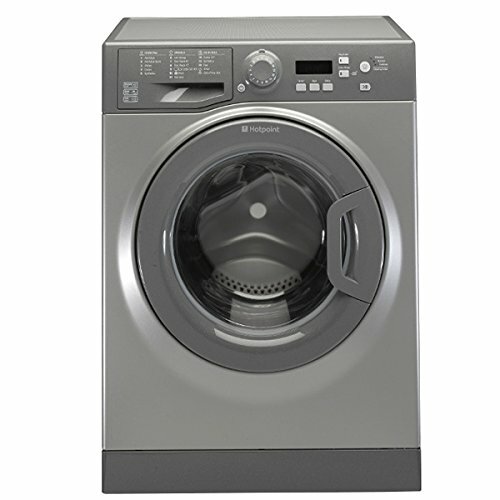 Models with wash load capacity of 9 kg, 10 kg, 11 kg, 12 kg and fast spin speeds of 1400 rpm and 1600 rpm. 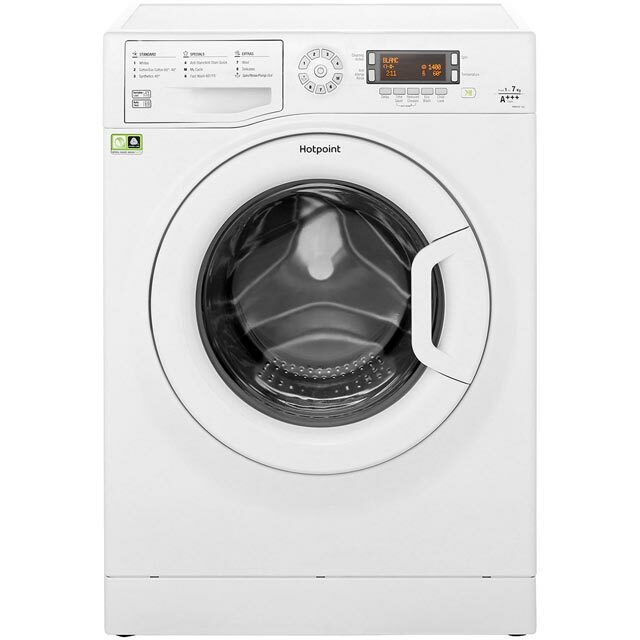 New machines feature a super silent inverter motor for a much quieter operation, quick, wash, anti-allergy and steam feature. 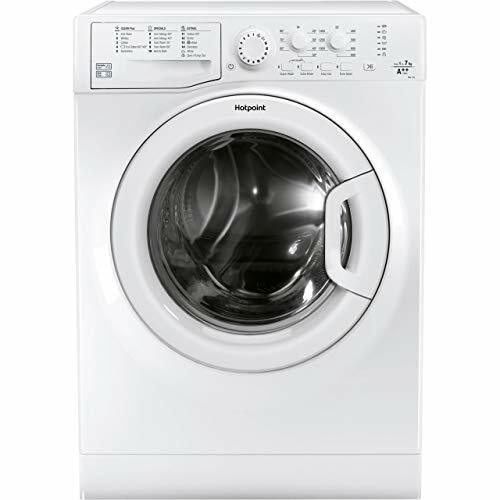 You will find quiet Hotpoint washing machines with large drum sizes at John Lewis, Currys and Amazon. 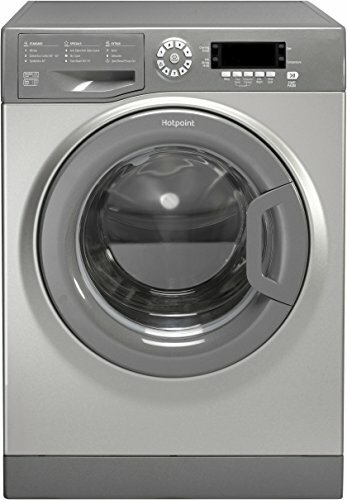 For over 100 years Hotpoint has made its mark in in home with innovative kitchen appliances. 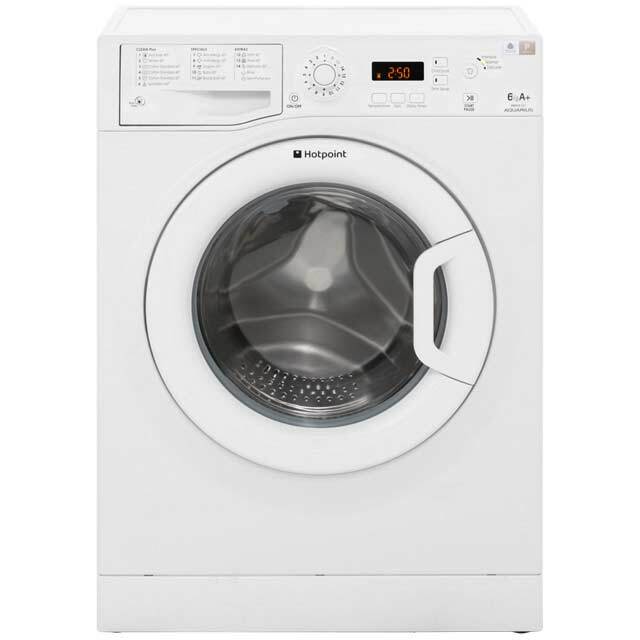 Hotpoint washing machines include a host of time saving and high performing features that gets the best out of each wash load. 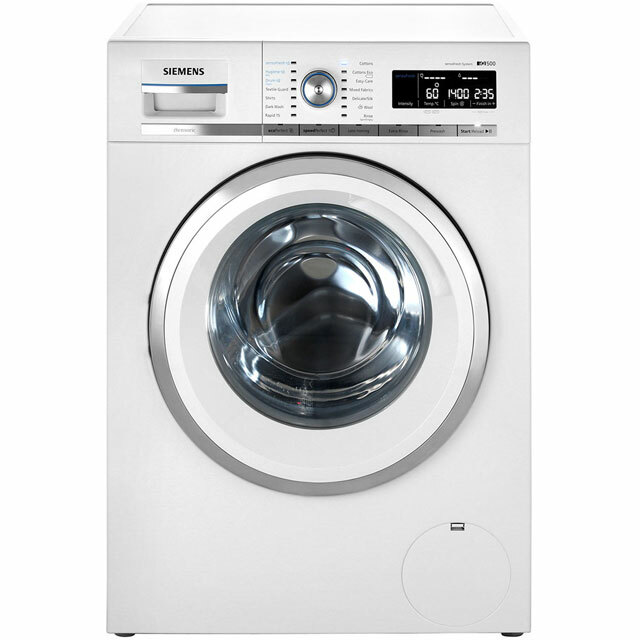 Choosing the right machine to suit your budget is always important and comparing prices is essential. 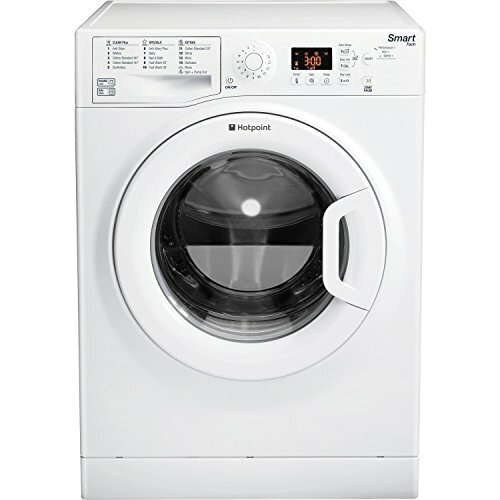 There are however money saving features to look out for too. 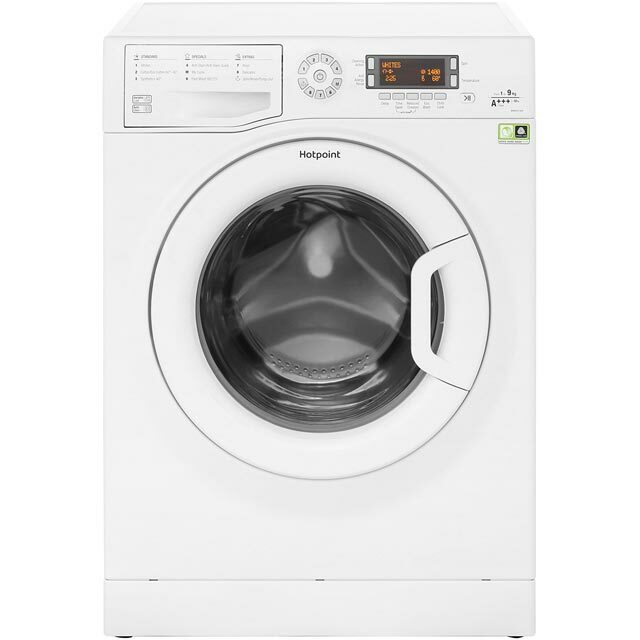 Most models nowadays are cold fill only with A+ or even better with the highest energy rating of A+++. 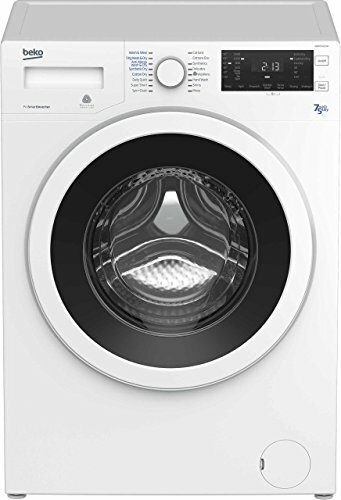 This not only means the consumer is getting an economical washing machine but one that is good to the environment too. 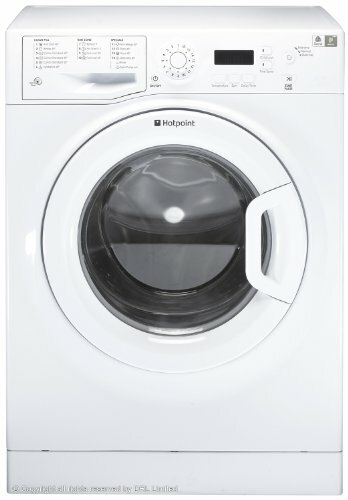 How Much do Hotpoint Washing Machines Cost? 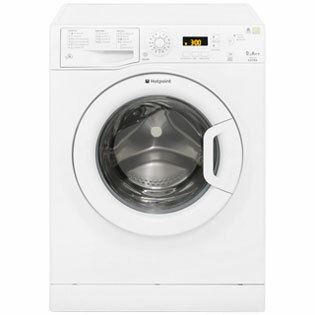 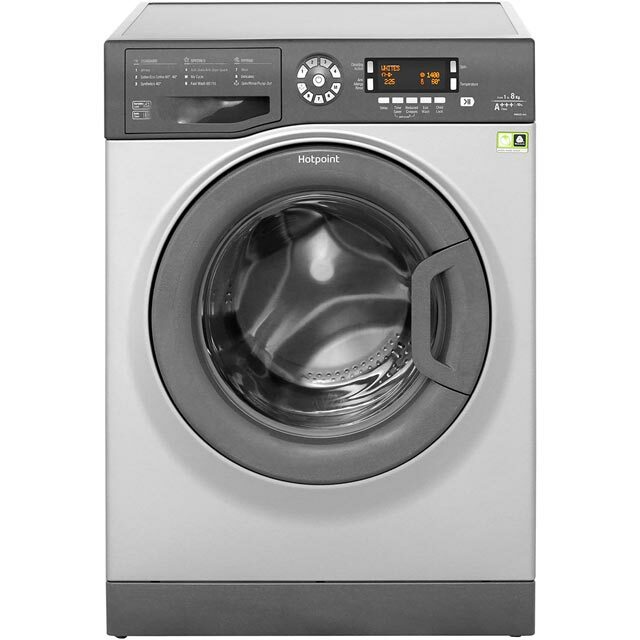 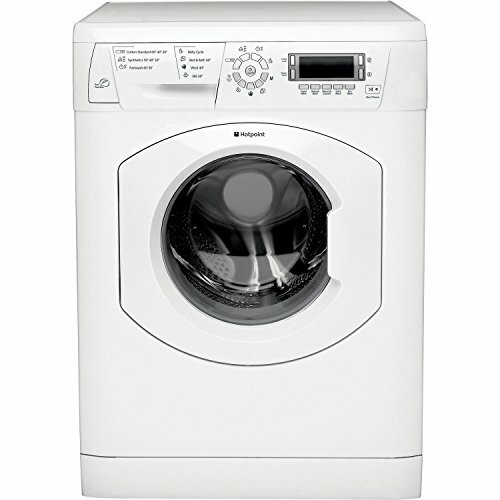 Check and compare Hotpoint washing machines prices to suit your needs. 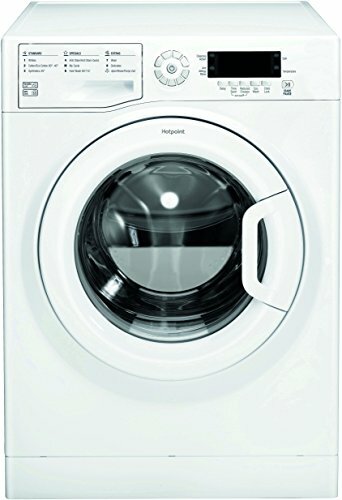 Things to consider before you start your search is the size of the drum. 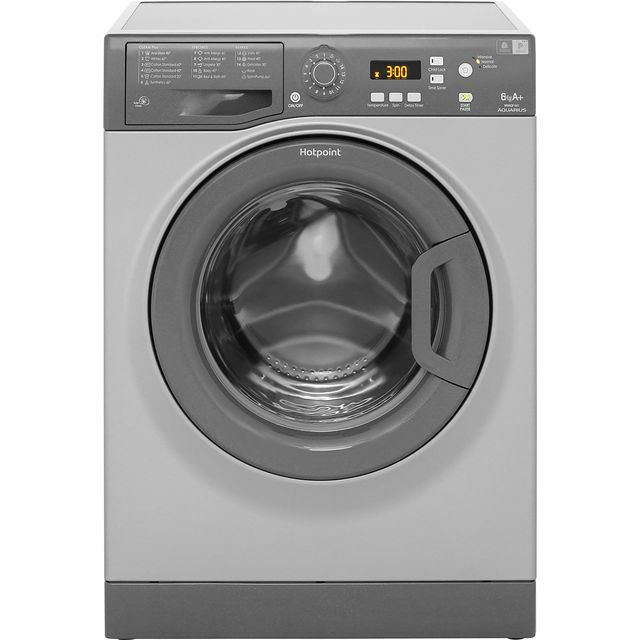 Buying too small could end up being more costly if you have to do another wash load. 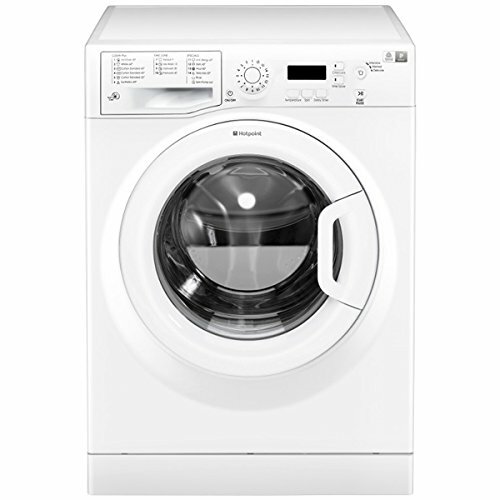 Determine the size of an average weekly wash then select by drum size and specific features. 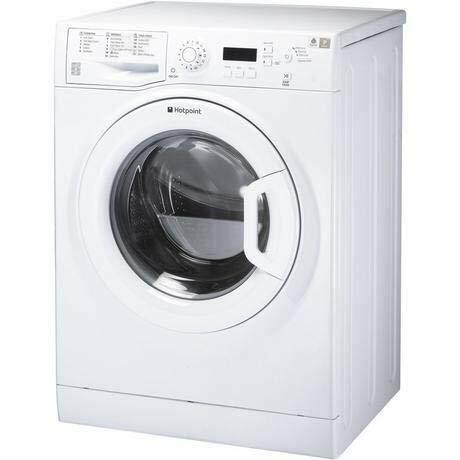 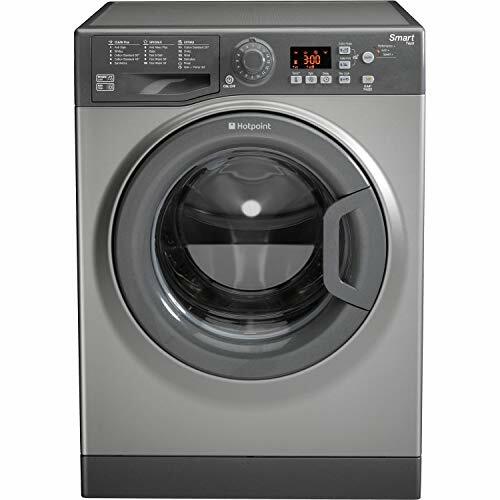 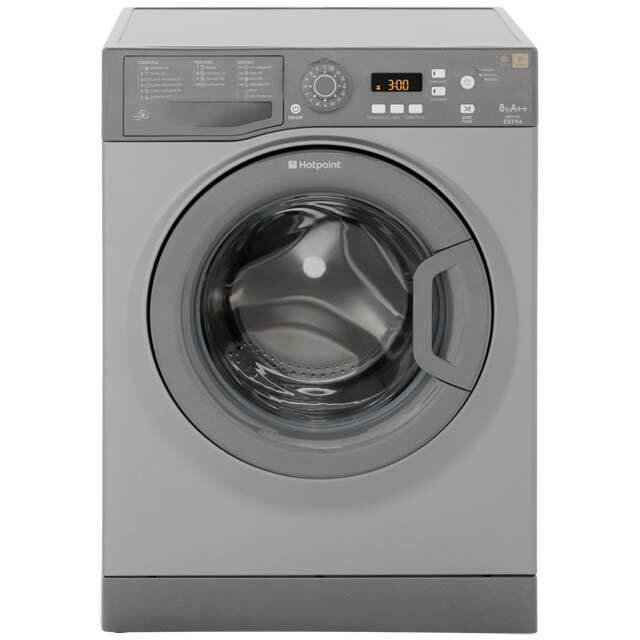 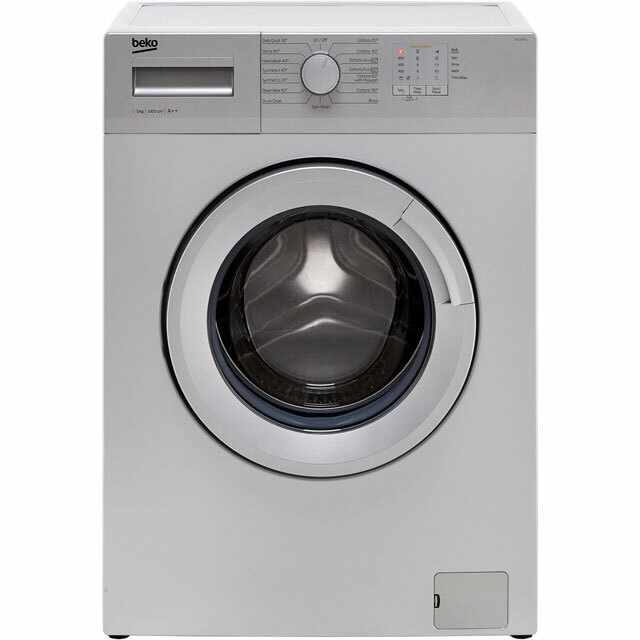 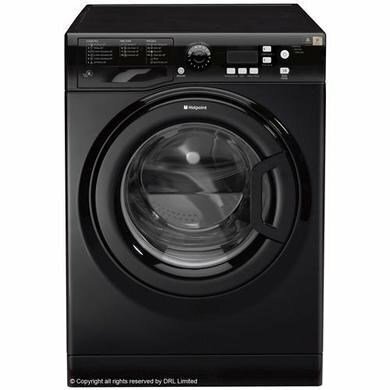 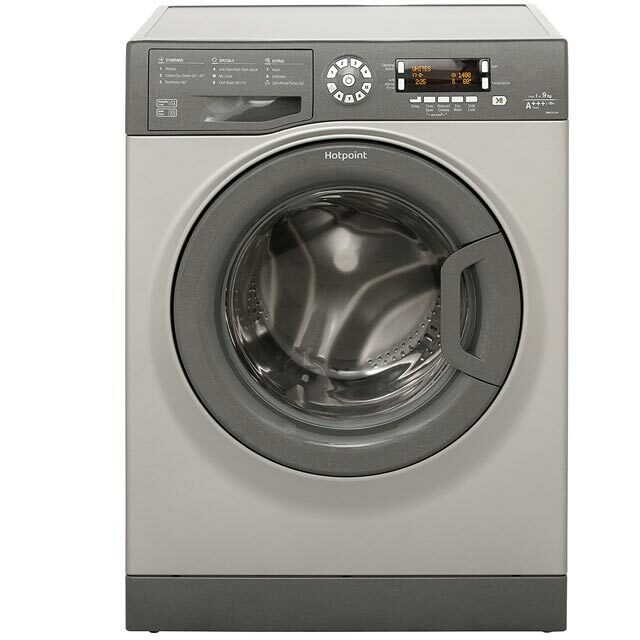 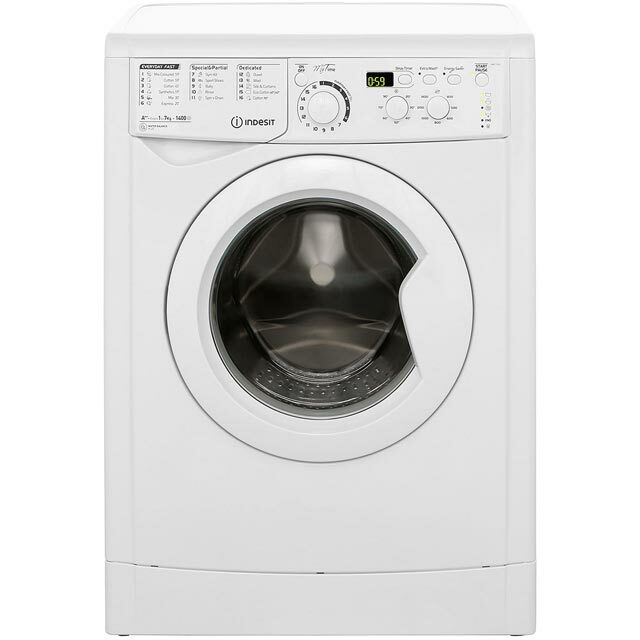 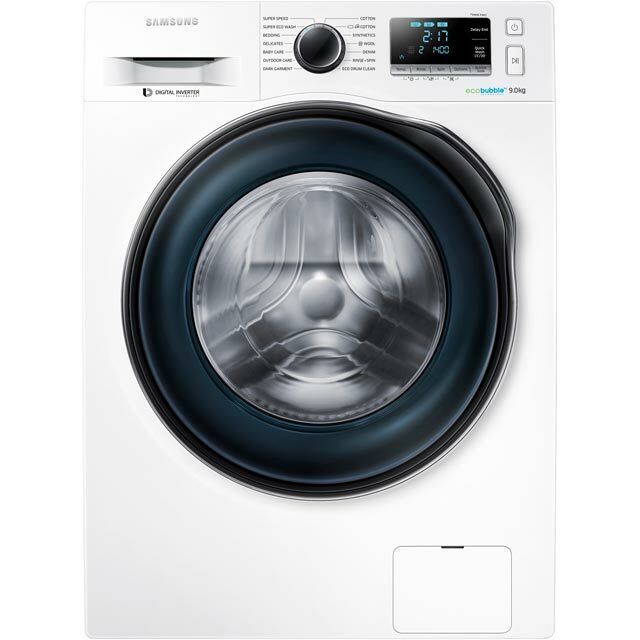 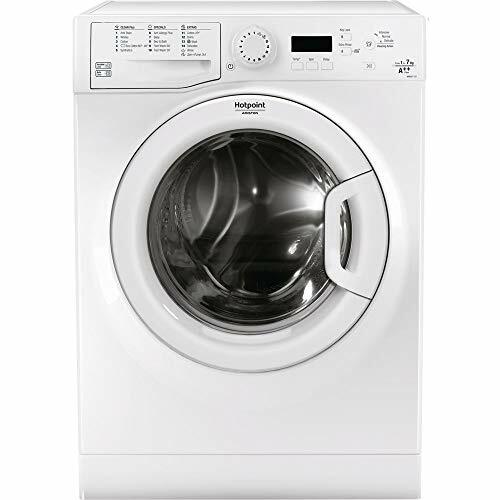 Higher end models are more expensive but there are cheap freestanding and integrated washing machines at around £300 or less. 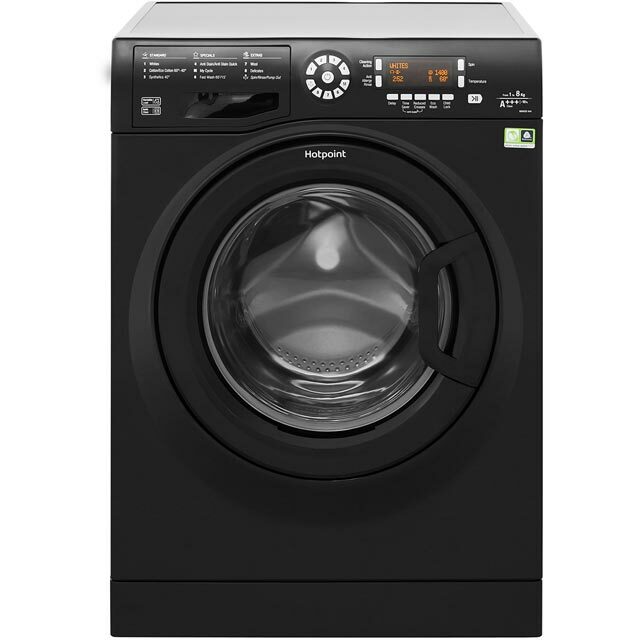 Hotpoint washing machines between £400 to £500 and over will be packed with quality features. Notable advancements include Direct Injection stain removing technology and Steam Power. 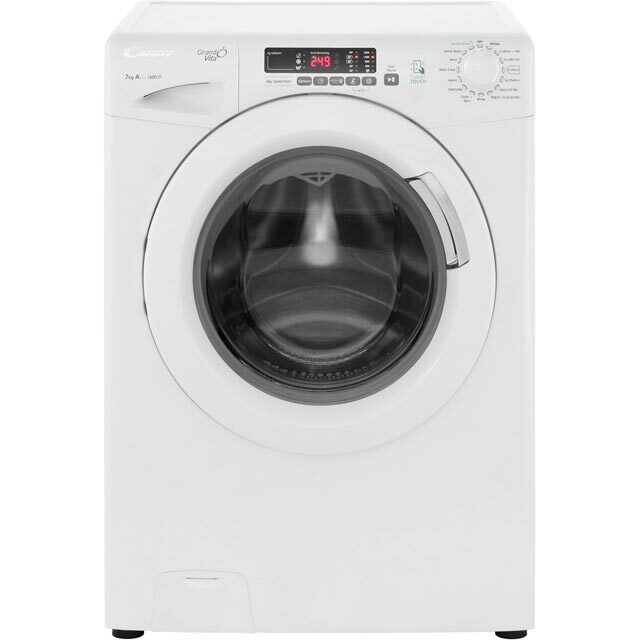 Exclusive to Hotpoint these impressive additions deep clean at lower temperatures for a more economical wash. Hotpoint Super Silent Ultima S-Line washing machines are built with sound insulating panels and a brushless motor. 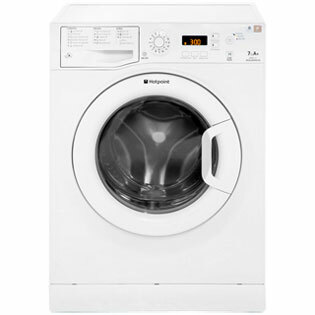 A great money saving option for washing during the night when energy prices are cheaper. 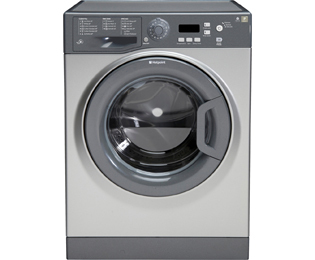 There are also anti-allergy, delicate wash, delay start, quick wash and time remaining indicator features.